I picked up a copy of local New Orleans entertainment publication Where Y’at magazine recently. There’s a “Where Y’at Chat” feature page where locals from a cross-section of professions are asked 5 random questions and their responses are shared. Sometimes it’s hard to imagine and therefore important to remember that there are places and there have been times where such freedoms of expression are not a way of life. Music/artistic expression and free speech are as precious as any rights we afford our citizens, and must be protected even when, or perhaps especially when, those perspectives, expressions, and points of view are counter to those of the majority. The movie For Love or Country documented the plight of jazz trumpet player Arturo Sandoval whose homeland of Cuba prohibited jazz. Swing Kids is the story of teen aged jazz/swing aficionados of the early days of Nazi Germany who used music and dance as a vehicle of defiance. In both cases the narrow allowances of only state-sponsored music served as a way to repress dissonant thought among the citizenry. Djokovic has ascended to the top of the men’s tennis game in large part because of his insatiable appetite for methods that will give him the mental, physical, and nutritional edge to compete at the highest level in the most competitive era his sport has ever seen. So if you’re a musician, professional or recreational, or a music enthusiast, take a moment this week to appreciate the freedoms of expression of all kinds that we often take for granted. Every day I watch the news and I’m saddened by the fact that we as a society spend most of our time dealing with symptoms and not the problem. Crime, war, abusive behavior, addiction, appetite for power, depression – they’re just symptoms. Inability to deal with one’s human emotions is almost always at the heart of these issues. We’ve made incredible advances in medicine, technology, our universe. And yet as a society, have we had any success reducing violence, divorce, suicide, or increasing our levels of happiness or meaning in our lives? We have an intense curiosity when it comes to exploring the world outside of us – and a paralyzing fear when it comes to exploring the world within. And until we make the same advances in addressing human emotions in a constructive manner, we can never build enough jails, pop enough pills, conquer enough kingdoms, or fill our lives with enough gadgets and creature comforts to make our problems go away. There’s a saying that emotions will always find an outlet. If you don’t find a constructive one, they’ll find a destructive one for you. And we see it on the news or in our lives every day. …And John Lennon knew it. This article originally appeared as a cover story for Where Y’at magazine in 2009 and reprinted here on the day of Stanley “Buckwheat” (Buck) Dural’s passing. Now that zydeco music is established with the Recording Academy as an official GRAMMY category, it is only fitting to reflect back on one of its master practitioners and foremost international ambassadors. Stanley “Buckwheat” (Buck) Dural, Jr. and his band Buckwheat Zydeco celebrate their 30th year as one of the most renowned artists of the genre with a new CD, Lay Your Burden Down. Once considered a regional musical phenomenon, zydeco music has garnered international attention, thanks in large part to Buckwheat Zydeco’s ambitious schedule. 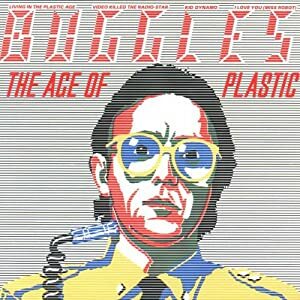 The band was formed in 1979, and began touring Europe in the early 80’s. Thirty years later, the band boasts a list of accomplishments would have been difficult to envision at the outset. Presidential inaugurations, Olympic ceremonies, national television commercial and motion picture recordings, talk show appearances, and GRAMMY nominations top the exhaustive resume. Not bad for a band leader who was reluctant to embrace the music early in his career. Buck was always very appreciative of the opportunity to play music, and getting paid to do so was simply lagniappe. Buck’s father had an affinity for zydeco music, and encouraged him to explore the music of Clifton Chenier, one of the iconic performers of the genre. Buck remained steadfastly opposed to that notion, preferring to stay true to his early R&B influences and his Hammond B-3 organ. He approached that gig convinced that he would remain stubbornly opposed to opening his eyes to the music. It was Chenier’s command of the accordion, his vitality, and his ability to integrate other influences that really hooked Buck on the potential of zydeco music. After his run with Chenier, Buck knew that he wanted to learn to play the accordion. That transition took about nine months and was not without its challenges. “It gave me the blues,” said Buck of the learning curve that came with his newfound instrument. “You’ve got to inhale, exhale, pull and push, pull and push – The coordination with the left hand and the 140 buttons. I flipped it over, turned it around, put it down, and got so upset.” On the verge of quitting, Buck issued an ultimatum to that accordion and threw down the gauntlet. “It’s you or me,” he said, and eventually he conquered the beast. Buck continued to bring both instruments to his gigs but found it too easy to revert back to the Hammond B-3 organ as somewhat of a security blanket. It wasn’t until he eventually “parked” the Hammond B-3 that he began to really embrace the accordion. The band’s commitment to tour internationally exposed their music to a broader audience. Doors began to open up for Buckwheat Zydeco, most notably a major record label deal that was a breakthrough for both the band and for the genre. Buck was aware that Bob Marley had been discovered by Chris Blackwell of Island Records, and knew of the label’s commitment to roots music. Buckwheat Zydeco is also known for their affinity for allowing kids to join the band on stage during live performances, a trait that only enhances their reputation for appealing to a broad audience. While numerous generations and artists contributed to the lobbying efforts to have zydeco music recognized as a GRAMMY category, it is understandable that it’s a source of pride for Buck. Lay Your Burden Down is produced by Steve Berlin of Los Lobos fame, with guest appearances by Sonny Landreth, Warren Haynes, JJ Grey, Trombone Shorty, and Berlin himself. As for the irony that he has accomplished so much in his career by playing music that he was particularly reluctant to embrace, he closed with a universal lesson. I wrote this piece for the New Orleans Publication Where Y’at magazine 18 months after Hurricane Katrina, interviewing 3 musicians who were still displaced from the city. 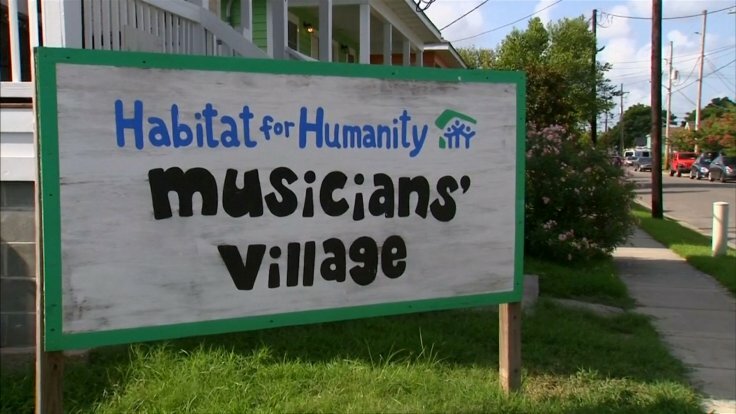 Eighteen months after Hurricane Katrina devastated our community, many of our city’s musicians remain scattered around the world. Three of those performers reflected on the New Orleans music scene and their collective affinity for the community of artists for whom they now have an even greater appreciation. 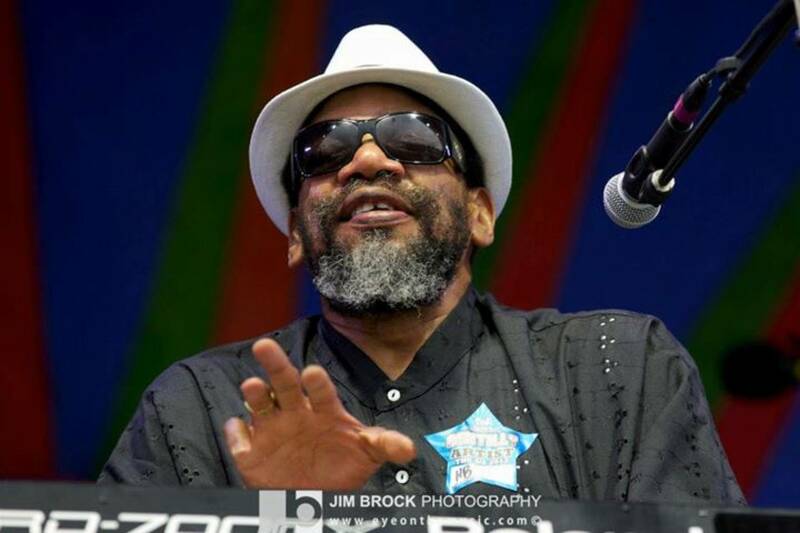 Like so many New Orleanians, Henry Butler (Basin Street Records) is monitoring the recovery from afar, hoping that if the Road Home program and insurance issues are resolved, he can be home in a matter of 1-2 years. His frustration with the lack of progress and leadership is clear. Butler spent ten days in Northern Louisiana as the Katrina drama unfolded, left to go on tour to stay busy, and eventually settled in Colorado. He admits that he, like so many others, suffered from post-traumatic stress disorder, causing him to immerse himself in his work for therapeutic purposes. 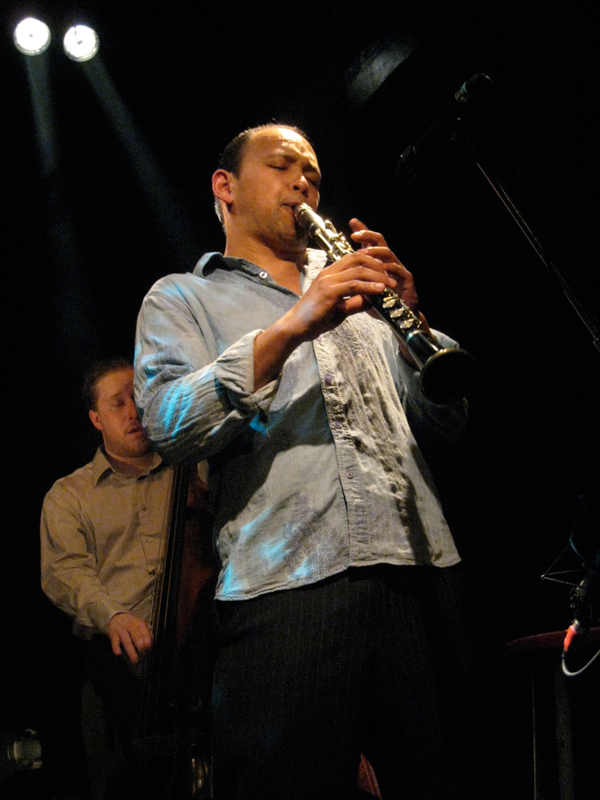 Alba performs with his own jazz trio, and also recently joined the blues-oriented Groove Messengers. He’s starting to find his way into the music scene, but it’s been challenging. Because he has spent so much time in airports and on airplanes post-Katrina, it’s now hard to define where is home for jazz clarinetist Evan Christopher (STR Digital Records). He completed a 12-week residency in Paris in early 2006 for a French Foundation based in New York, the French American Cultural Exchange (FACE). He’s formed a band there, and he’ll be bringing that combo to New Orleans in the spring. I spoke to him during a brief stop in New Orleans before he hit the road with the New Orleans Jazz Orchestra. Christopher recalled his time in New Orleans, and particularly his regular Thursday night gig at Donna’s with great affection. “The thing that I think I miss the most is the way the audience engages the music in New Orleans in terms of the interaction – being able to enter a musical experience on a lot of different levels,” he said. “There are people that come from Europe that are only looking at it from a historical perspective, there are some people that are coming because of their knowledge of the history of the instrument, there are some people that are just coming to have a party, there are some people that are coming because they’re looking for a cultural experience – they can enter it on any different level. A musician can take an instrument and a performance on the road, but you can’t just mobilize a musical community, especially one as unique as New Orleans. Music is undoubtedly our city’s greatest asset, and unless we do whatever it takes to give our musicians a fighting chance, we’ll never get back our city’s heart and soul. One of my Dad’s favorite movies was Singing in the Rain, and in particular, the famous scene where Gene Kelly does just that. I was reminded of that movie recently when I read an article by Bonnie Ware a hospice worker. The title of the article is “Top 5 Regrets of the Dying,” and it’s one of those items that stay with you long after you’ve read it. “Fear of change had them pretending to others, and to their selves, that they were content. When deep within, they longed to laugh properly and have silliness in their life again. When you are on your deathbed, what others think of you is a long way from your mind. How wonderful to be able to let go and smile again, long before you are dying. How many times do we drive down the street and see someone singing or dancing or doing something we think is odd, and we classify them as a nut, goofball, crazy, etc. Maybe they are the most sane individuals in our society. Life is a choice, and it’s too short to have regrets. Sing in the rain every once in a while. It is said that truly great musicians give the same inspired performance whether the audience numbers 5 or 5,000. I was reminded of that fact when we traveled down to the French Quarter last Saturday night to let my son Michael capture a few late night photos. On the “Moonwalk” that borders the Mississippi River, we came across this New Orleans Street Musician with nothing but a harmonica, a microphone, and a small amplifier. We encountered him, alternatively blowing his instrument and wailing bluesy lines for a handful of late night strollers around 11:00 p.m.
For more great New Orleans photos, visit Michael Cortello Photography . Free download: My song “City Soldier” (Ms. Romy Kaye on vocals) that is a tribute to the street performers of New Orleans.